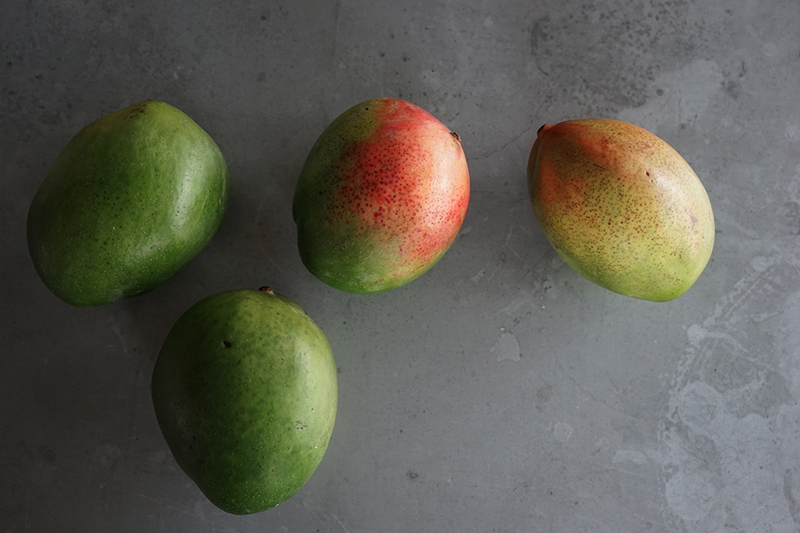 As we soar into August we typically roll out of the long Mexican mango season. Some years the period winds down at the beginning or middle of August, and some others go through until the beginning of September. This season the latter is expected, it starts as far down as Chiapas and slowly makes its way up Mexico’s tropical Pacific coast, through Oaxaca, Michoacán, Jalisco, Nayarit, Baja and Sinaloa, with a grand finale in Los Mochis. The Keitt, a late-season cultivar originating in Florida from a Mulgoba seed, is most predominant in Sinaloa’s northern production. We also see a significant amount of this cultivar in the Rosario and Los Mochis areas of Sinaloa, which is the only mainland USDA NO TREATMENT zone for all imported mangoes into the USA (due to the area being declared a fruit fly-free zone by USDA). Its trees tend to tower on average at about 60 feet high. These large trees produce gigantic mangoes by comparison to others that we see in North & South America: if the average mango is a size 9cnt, the average Keitt comes in at about a 6cnt. Mangoes are sized for the USA/Canadian marketplace as a count in a 4Kg box, so a size 9cnt mango would weigh about a pound and a size 6cnt would weigh about a pound and half.